Firefighters from five companies came together to contain a blaze in an unnocupied apartment building in Millsboro. More than $1.5 million in property damage was reported. 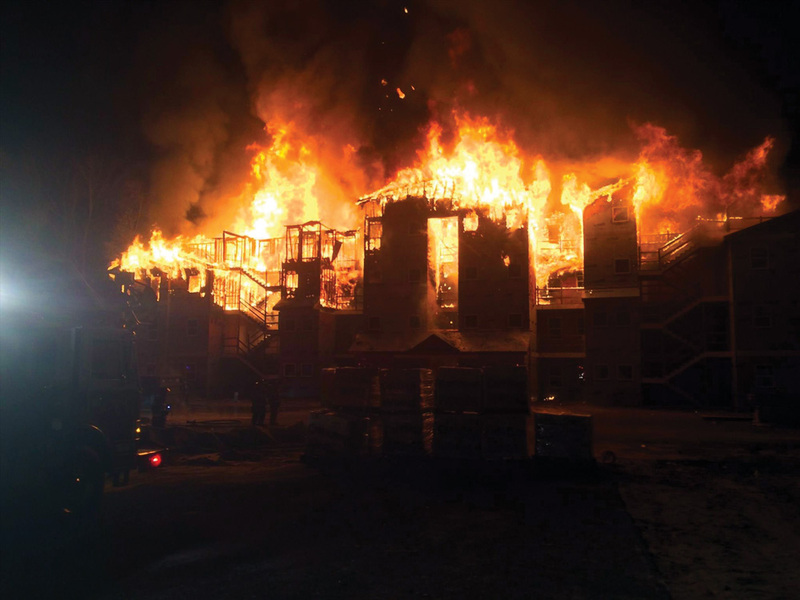 The fire was reported at 9:23 p.m., and flames were already shooting from the four-story building at the Carillon Woods apartment complex when the Indian River Volunteer Fire Company arrived on the scene, according to the fire marshal’s report. The building, which was still under construction, is located near the intersection of Routes 24 and 5. There was no electric service in the building yet, and no operating sprinkler system, according to reports from the Indian River Volunteer Fire Company. Indian River was assisted by firefighters from the Lewes, Millsboro, Milton, Rehoboth Beach and Dagsboro fire companies, as well as basic life-support units and the Sussex County Paramedics. No injuries were reported. State fire investigators were on the scene the following day, trying to determine the fire’s cause and origin. The building was designed to house 30 apartment units. 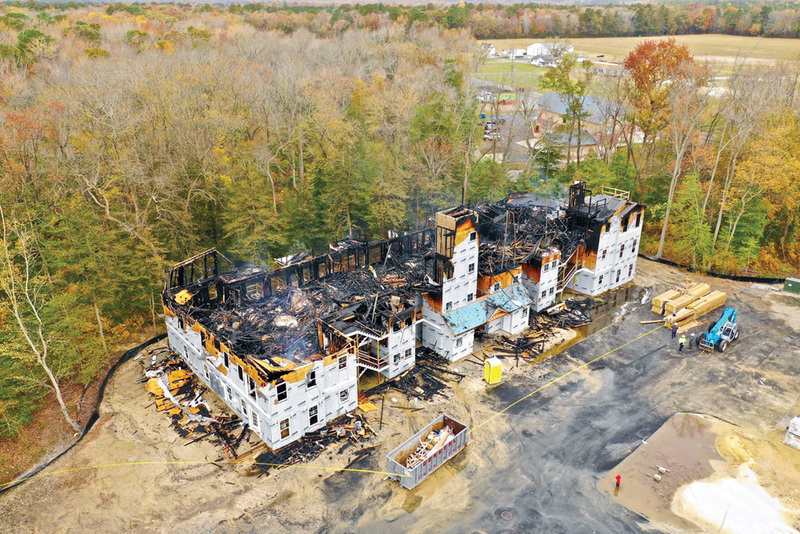 Heavy fire damage was estimated to exceed $1.5 million, according to the state fire marshal’s initial report.